Abonnieren und erhalten Sie unsere Hot Deals! Why apply for Iran Visa in advance? 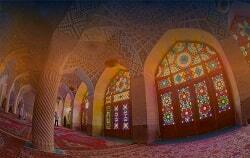 Contrary to popular myth, getting a tourist visa for Iran is not difficult or time-consuming. We heard a lot from those enthusiastic travelers who have postponed their long-awaiting trips to Iran just because they were worried of getting a visa….